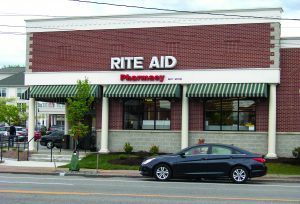 CAMP HILL, Pa. — With Valentine’s Day right around the corner, Rite Aid is offering deals on a broad selection of gifts for Valentines of all ages. From sweet treats and the perfect card to alluring fragrances and the cutest plush animals, Rite Aid said it has all last-minute shoppers covered this Valentine’s Day. Bring a smile to your Valentine’s face by choosing from a wide assortment of heart-shaped boxes of chocolate in all sizes from favorites like Dove, Ferrero Rocher, Russell Stover, Whitman’s and more. Sweethearts will swoon over boxed chocolate and single-serve heart-shaped candy from Reese’s and others. And fill the candy dish with seasonal treats like Hershey Kisses, M&M’s and bite-sized chocolates from Ghirardelli and Lindt. Fill your home with love by shopping Rite Aid’s wide assortment of Valentine’s Day decorations, including red-foil heart-shaped wreaths, decorative wall art, gel clings and more. Then, surprise your significant other with a beautiful bouquet of live cut roses or mixed blooms, available at select Rite Aid locations.